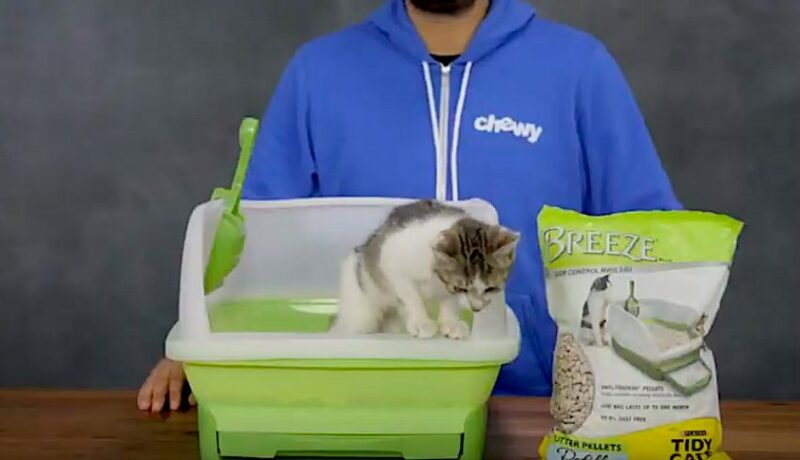 ← How Deep Should A Cat Litter Box Be? This information may have been superseded by further events. It’s rather strange but some people have asked why the Cat Breeze litter system was discontinued. As far as I am aware it has not been discontinued. However if you dig around on Amazon checking out the reviews you will find that there is a danger (and I don’t know how small it is) that cats or kittens using the litter may on occasions eat the pellets. For a currently inexplicable reason, some cat owners claim that their cats are attracted to the pellets as food. I don’t know how the manufacturer, Purina, dealt with this issue. However, on the face of it, it’s a serious issue, quite obviously. 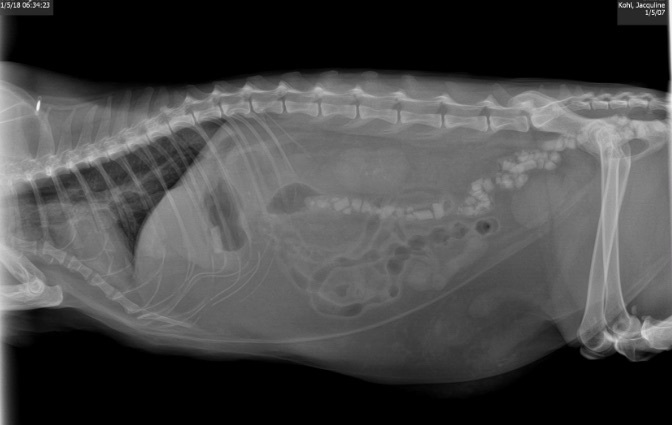 Blockage in cat’s bowels due to eating Tidy Cats Breeze System pellets. Supplied by Jacquelyn K.
The reviews are generally good for this product at four stars out of five from 4,500 reviews. However, if there is even a remote danger that a cat might need the pellets and suffer an intestinal blockage then I would argue, with respect, that the product is unsafe. I’m not sure whether this problem is linked to the question on Quora.com, “Why was the Cat Breeze litter system discontinued?” I don’t think it is discontinued but perhaps it is at a certain geographical location. Perhaps someone can enlighten me. Have you use this cat litter system? It is a novel system in which the pellets are not soft and absorbent. The cat’s urine passes through the pellets into an absorbent pad below. Faeces remain at the top layer amongst the pellets where they can be scooped up. There is something in the pellets which can confuse some cat into believing that they are food. Tidy Cats has another problem with cat litter namely their lightweight litter which created too most dust and which created serious health problems for cats through inhaling the dust. I have two pages on this one a review (see link above) in the other based upon information provided by an employee in the factory explains how the litter is made. This entry was posted in cat litter and tagged cat hazards, cat litter, cat products, dangers to cats, hazards, purina by Michael Broad. Bookmark the permalink.